The dreaded Check Engine Light just appeared on your dashboard out of nowhere. Or you've seen it flashing on and off a few times before and maybe you just hoped it would go away by itself. Your Check Engine Light functions to help ensure your safety on the road. The light coming on is really just an early warning signal from one of your car’s computers that it notices something is not right that could potentially cause damage to your vehicle, pollute the air, etc. if not taken care of quickly. It’s important to find out exactly what the light is trying to tell you. When your car’s Check Engine Light comes on, it could mean a lot of different things are happening within your vehicle. Issues can range from a weak oxygen sensor, to anti-lock braking system trouble or a more costly problem, like an engine or transmission issue. It could also simply be something very minor, like a loose or missing gas cap. This system will also produce codes that can be retrieved by AAMCO’s technicians that will tell them just what system or circuit is seeing the problem. Oftentimes, it may take more in-depth testing to pinpoint exactly what in that identified circuit or system is at fault. Without professional testing of the components in the circuit, you could be throwing costly parts at the problem without actually repairing the real problem. When you see your Check Engine Light come on, the most important thing you can do is to get a correct diagnosis of what is triggering the light on or flashing as soon as possible. AAMCO can help you whenever your Check Engine Light comes on. We will retrieve the codes and tell you what system has caused the light to come on and what will be required to turn the light off. 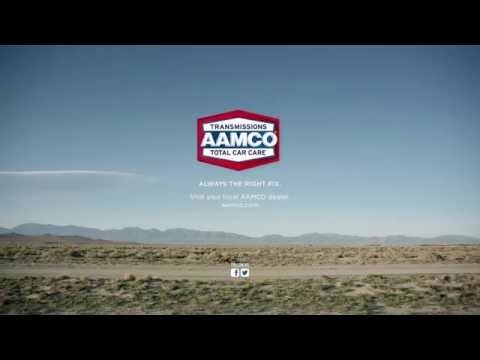 Your safety on the road is important to us at AAMCO. If your Check Engine Light is on, let one of our expert technicians correctly diagnose your vehicle. Stop in or call us today for an appointment at an AAMCO center near you.